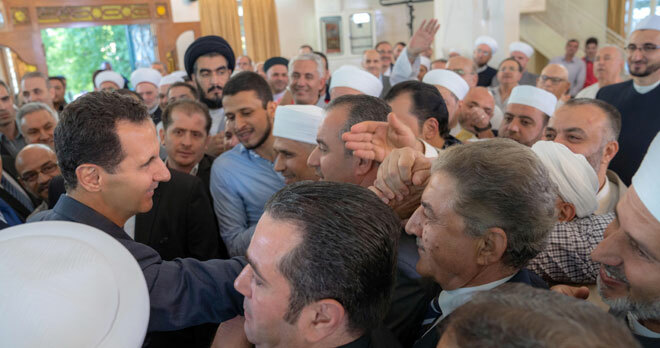 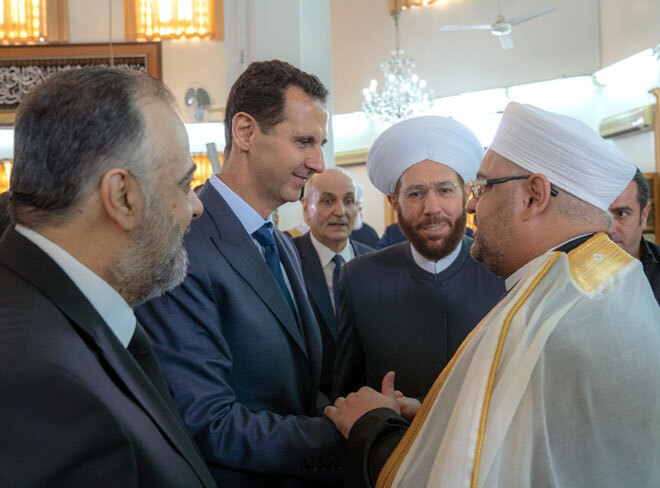 Damascus, SANA – President Bashar al-Assad on Tuesday performed Eid al-Adha holiday prayer at al-Rawda Mosque in Damascus. 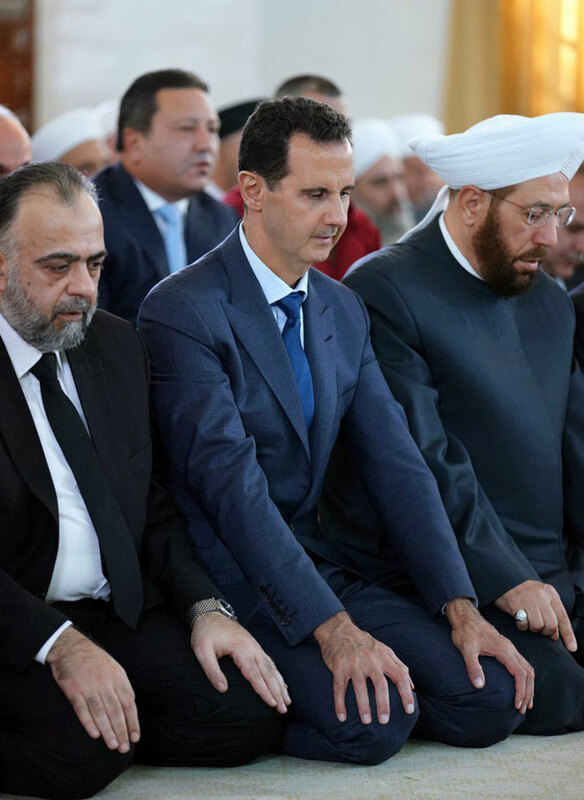 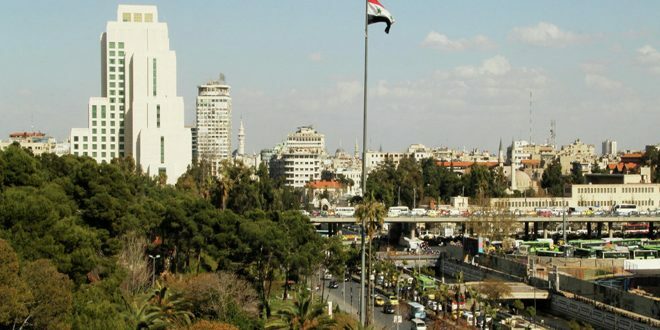 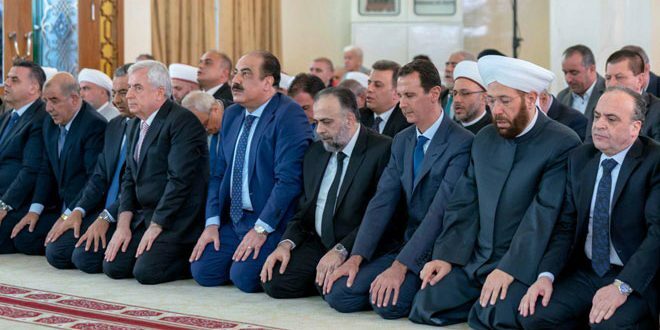 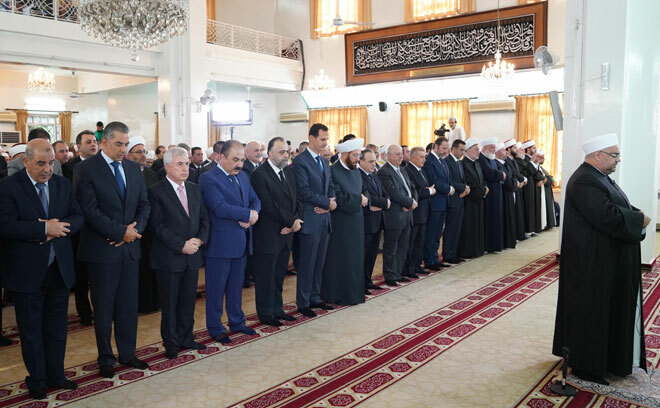 President al-Assad was accompanied in the prayer by the Minister of Religious Endowments (Awqaf), Grand Mufti of the Republic, a number of senior officials, People’s Assembly members, religious scholars, and a number of citizens. 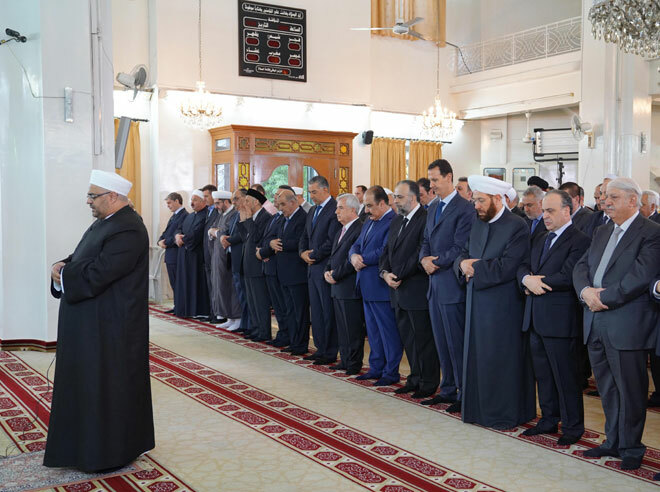 Director of the Damascus Department of Religious Endowments Khedr Shahrour lead the prayer and delivered the holiday sermon, in which he talked about the symbolism and meaning of Eid al-Adha which emphasizes sacrifice, redemption, and faith. 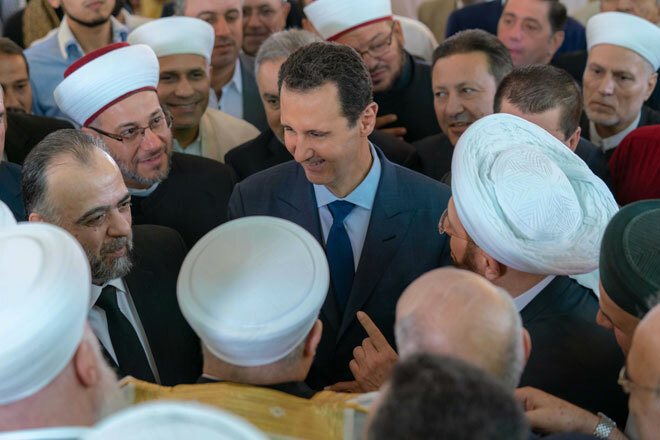 He prayed to God to protect Syria and its people, aid its army, have mercy on its martyrs, heal its wounded, and grant President al-Assad success in realizing the nation’s interests.